As we said in our previous post, November is a big month for WordPress. We continue working to make sure we are fully ready for Gutenberg. And, as usual, we keep adding features to our plugins and improving our communication and cooperation with clients and authors. Today, we finally released 4.1.0. Last month we were almost ready to release it with compatibility features for Gutenberg. Just as the Gutenberg/WordPress 5.0 was still a moving target, we postponed that release to solve some new issues which were created while the WP-Core team was adding or fixing features. We are also closing WPML 4.2.0 by merging the new features and by handling some final tasks. Since we are approaching the holiday season, we haven’t decided yet if we will release 4.2.0 this year or at the beginning of 2019. We have also started planning WPML 4.3.0 which will focus on improving professional translation workflow when it comes to translation services. This last month our Toolset Team spent most of their time developing and addressing issues with usability in mind. Views: We’re working on evolving and improving the compatibility layers we have with page builders. We ran a series of usability tests which provided us with information on workflows and interfaces to improve. Half of the work has been completed, half of it is going to happen next. Forms: We completed the drag&drop editor, so you can design and publish forms with a completely visual interface. Again, we ran several rounds of feedback calls with our UX/UI team and our graphic designers. We are going to run usability tests next. Also, we have some new features coming that will expand the power of post and user forms. Maps: We completed the missing features we wanted to include regarding user location, including mechanisms to conditionally display content based on it. Most of those developments are completed but lack final usability rounds and/or testing. Feature parity. We made sure that whatever you could do in the classic legacy editor can be done in the new one. Dedicated custom blocks for Views, Content Templates, Forms, and Maps. Compatibility layer with Layouts when the same post is willing to use both a layout and the new editor to compose its content. Identify weak points of specific features we need to address, like conditional output blocks from Access, which will demand some extra work and eventually a dedicated custom block. We are having a major release for all Toolset plugins today including those updates so our everyone can start using them ahead of WordPress 5.0, and we will push the changes we have in our pipelines, plus extending our integration with Gutenberg, for following major releases happening every few weeks. You can read more about Our Toolset Plans for WordPress 5.0 and Gutenberg. Or just follow all the latest news on our Toolset Blog. We also improved clients and contractors communication for an easier interaction. Toolset has created a new communication system which provides users with an immediate way to chat with contractors. Jobs can be agreed in a faster time than ever using a familiar messaging interface. As for integrations, our combined efforts with the makers of Ultimate CSV Import Pro extended the integration with Toolset. Now you can import repeatable field groups, in addition to custom fields, taxonomies, and relationships. The last month was a big month for the support teams. Many of the plans and ideas crafted during the last months were launched in November. On top of that, we are experiencing a very high load of support tickets in WPML due to a peak in sales. The last few weeks were all devoted to testing all of the major products by our partners together with the release candidate for WordPress 5.0 which includes Gutenberg – the new WP content editor. We have installed on our testing servers both betas (WP 5.0 && WPML 4.1) and have tested all blocks with all major items, found issues and moved to the core team for further debugging. On top of that, adjustments were made to the Compatibility Codeception tests to meet the new way WP & WPML work together. Other efforts this month in the Compatibility team were routine new testings with focus on marketing with bigger clients, the addition of compatibility related videos to the WPML YouTube channel, and changes to the tests authors are asked to perform. 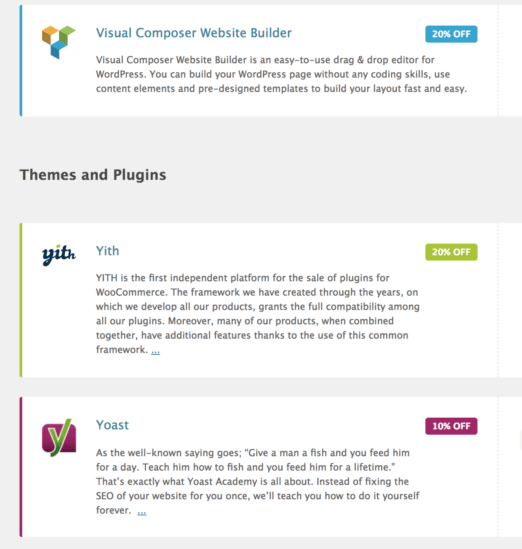 Find out about our new compatible themes in November: Faulkener, Cesis, Hostinza, and Veganos. We have launched our WPML Partners Program. We’ve negotiated some special discounts and offers from our partners ONLY for our clients. We are improving our affiliate program to encourage bloggers and theme/plugins authors to share news about us and of course, to join the program if they are not a member. We are also launching the “Prime Affiliate” status. We will have more news about this soon! Translators automatically assigned to a project will be notified if they haven’t started working after 24 hours. If an Instant Translation isn’t completed in 3 hours, translators will receive an email reminder. New tooltip to explain that you can’t edit the personal information when the country isn’t selected. After uploading a new file in software projects, there is an automatic redirect to the quote table. Bidding projects for general text files have improved labels on buttons, and we are redesigning their entire interface to make the setup easier. The tool to get an instant quote on our iOS and Android localization services pages will provide more meaningful messages and has an updated design. In November we also wrote about “Popular multilingual themes to work with WPML and translation services” and that “English, Chinese, and Japanese lead the top languages to localize your iOS app”. We continue to write about topics that people are interested in, using our own data and experience in the translation areas. You can find out about all the translation types offered by ICanLocalize on our website.